Put the mincemeat in a large bowl. Add the following: chopped onions, bread, salt and pepper, oregano, mint and parsley. Mix and knead by hand until all ingredients combine. 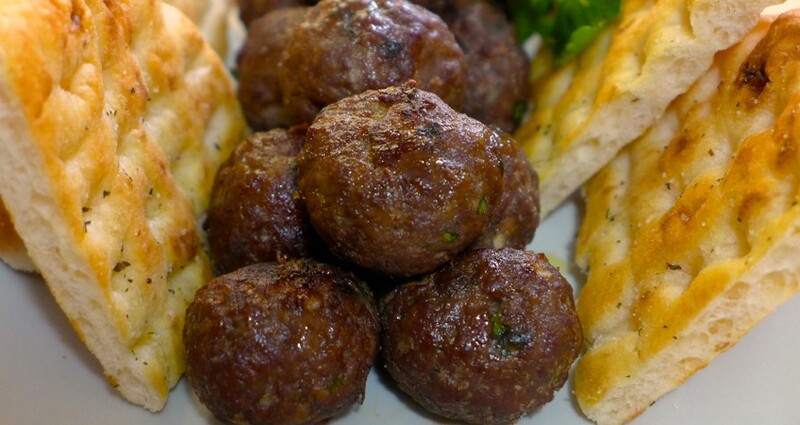 Form small meatballs. Flour them and fry them in a preheated pan with adequate oil. Serve warm – try them with Kalamata Papadimitriou Oregano and Thyme mustard.